The XRP Army on Twitter has been jubilating since the XRP ledger surpassed 1.5 million accounts. While some other cryptocurrencies have made been able to cross this milestone, the performance by the XRP ledger is especially significant because each XRP accounts require funding making the metrics more reliable. In June 2018, there were less than 1.3 million accounts on the XRP ledger. This includes hot wallets in cryptocurrency exchanges. Of all the accounts on the ledger, the first 100 held 78.74% of the total XRP. The stats show that eight accounts held more than eight billion each. 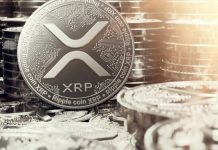 About 1.01 million accounts held between 20 to 499 XRP each. Keep in mind that 60 billion out of the 100 billion of XRP in circulation is owned by Ripple. This is one of the reasons why some members of the cryptocurrency community believe XRP is not decentralized. For this reason, Coinbase and some other exchange have refused to list the XRP token as they do not want to get into trouble with the SEC. Ripple, on the other hand, has been trying hard to prove that it has no control over the XRP token. Last year, the chief market strategist at Ripple, Cory Johnson, dismissed the accusation. He said that XRP isn’t a security because holders don’t automatically have shares in the company. He also said that the company cannot sell off its XRP tokens because they are protected by a cryptographic lock. Even if the XRP community is celebrating the milestone, some others in the industry don’t think it is a big deal and are referring to it as a vanity metric. However, this isn’t the case. In other, for a user to activate an account on the XRP ledger, there must be at least 20 XRP tokens in the account. This is the minimum funding requirement. Any account that holds less than 20 XRP tokens cannot be used to perform transactions. The user will be able to retrieve and use it as soon as the requirements are met. Because of the funding requirements put in place, it’s unlikely that the accounts were opened to boost the metrics. The XRP ledger is legitimately gaining popularity and adoption on a global scale. 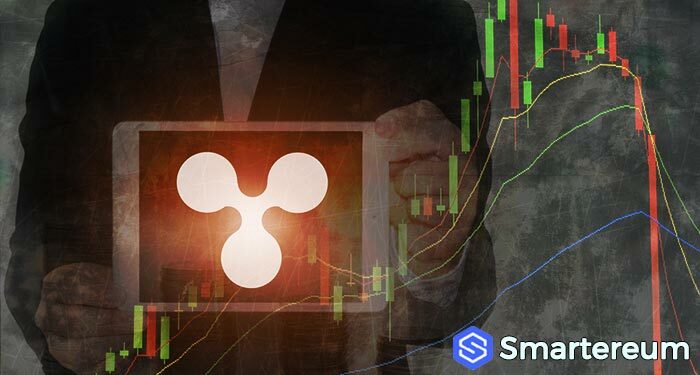 This is no surprise as XRP made the headlines several times last year during the cryptocurrency bear market. In November after the Bitcoin Cash Fork war, XRP outperformed the market taking Ethereum’s place as the second largest cryptocurrency per market capitalization. Those who don’t want to be left out are taking advantage of the low prices and buying XRP tokens. At the time of writing, XRP was trading at $0.308185. This shows that it is up by 5.73% against the USD but down by 1.64% against BTC. The 24 hour trading volume is $688,654,784 and the market capitalization is $12,687,744,097. The news about crossing the account milestone must have led to a slight surge in the price of XRP. Do you the milestone is vanity metric? Or, does it show that the XRP token is gaining ground in the industry? Share your thoughts.